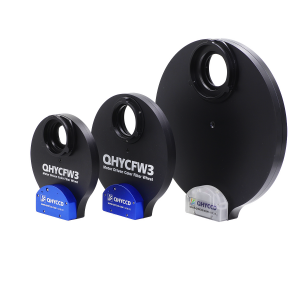 Upgrade the focusing precision of an 8 or 10 reflector telescope with our new Antares Low-Profile Dual-Speed Hybrid Reflector Focuser. 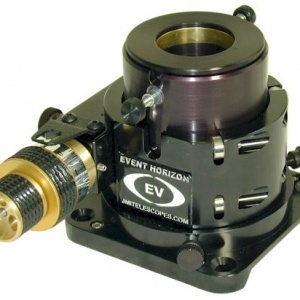 Its new, innovative hybrid design incorporates the benefits of both rack-and-pinion and Crayford focusers to provide superb fine-focus performance for 8 and 10 reflector telescopes. Building on the rock-solid reputation and performance of the well-regarded Crayford design, a unique helical spur on the two-speed focus mechanism provides increased positive control of the drawtube while minimizing backlash and slippage. 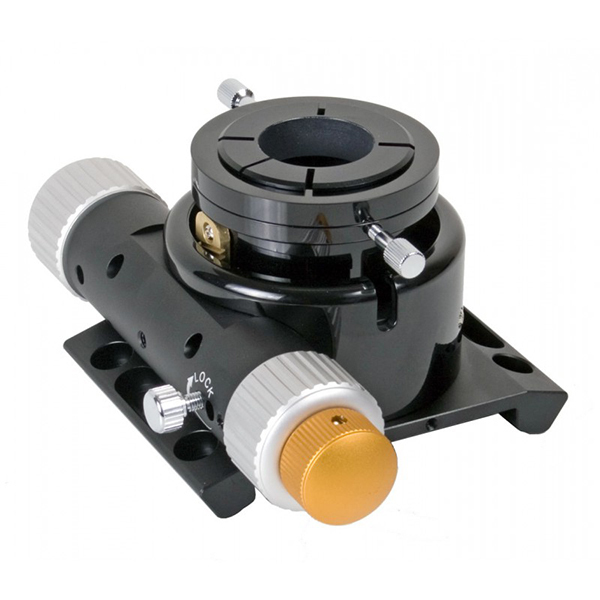 This allows the Orion 2 Low-Profile Dual-Speed Hybrid Reflector Focuser to hold heavy payloads of observing or astrophotography accessories without slipping, while still offering the smooth, backlash-free motion of the traditional Crayford model. This hefty focuser tips the scales at 14 oz. can hold over 16 lbs. (~8kg) of payload and still provide smooth, slippage-free motion. 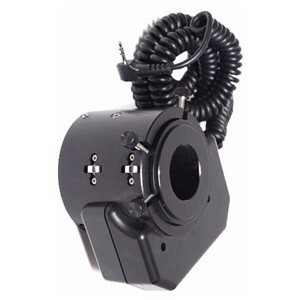 With a low-profile racked-in height of just 58mm, the Hybrid Focuser features a built-in 43mm extension tube for enhanced versatility, and has a total racked-out height of 122mm. 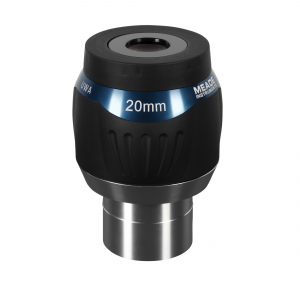 Featuring dual-speed controls; this beautifully machined focuser lets you achieve just the right amount of focus using its fine-focus knob which has an 11:1 fine-focus ratio. 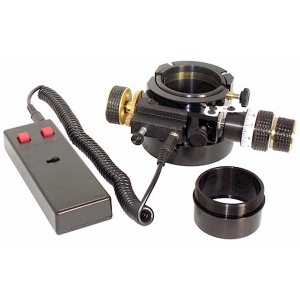 Featuring a 2 drawtube, the Antares Low-Profile Dual-Speed Hybrid Reflector Focuser comes with a 1.25 compression adapter for use with high-power 1.25 eyepieces and 1.25 accessories. 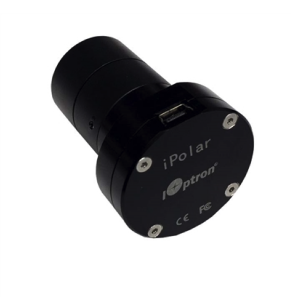 The main drawtube has 8 precision roller bearings to support smooth operation and a knurled focus lock knob. The fine focus knob boasts an 11:1 reduction in speed for those moments when you need just a minute adjustment to obtain perfect focus. The beautifully machined Hybrid Focuser is a mechanical masterpiece that is a joy to use and gorgeous to behold. 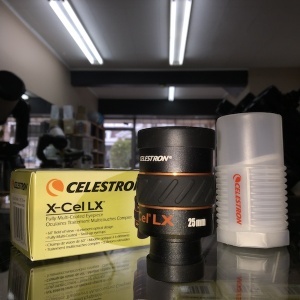 Lock it down for astrophotographic pursuits, or adjust the tension control for fine adjustments during observational stargazing sessions. Will fit 8″ or larger tubes, as well as flat tube surfaces. 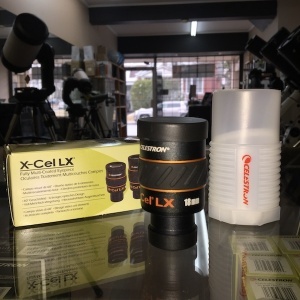 Drop-in replacement for many Orion Newtonian and Dobsonian telescopes, including Intelliscope dobs (will not work with SkyQuest XT8 Classic Orion dob sold before 2007 unless you drill new holes, or some models of the XT10i). 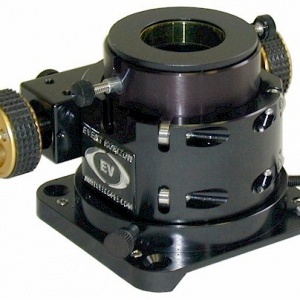 Please use the information below and in the photos to confirm whether this focuser will work with your telescope.